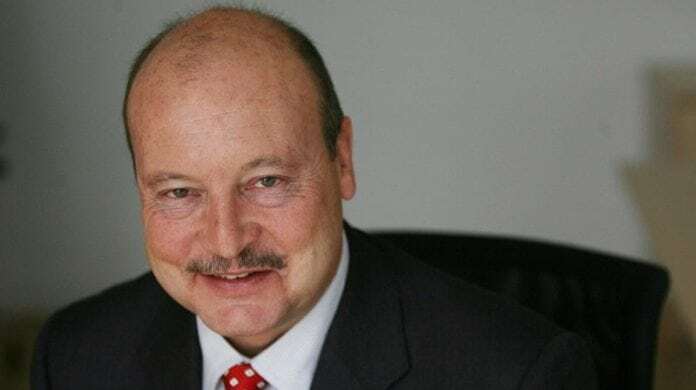 PETRA Diamonds CEO, Johan Dippenaar, waxes philosophical about mistakes committed during his 12 years at the company, a tenure nearing its end following an announcement at the firm’s full-year results announcement earlier this month that the board had set about finding a successor. “Maybe you could look back and say that it was too much to take on, but then you don’t have many opportunities in this business,” he said in an interview with Miningmx. The reference is to the firm’s multi-year growth strategy aimed at achieving some five million carats a year in production – a number that would make the firm one of the world’s largest independent diamond miners. It’s worth noting that when Dippenaar became CEO in 2006, the Petra Diamonds was producing about 176,000 carats annually and had been exploring for diamonds, mostly in Angola, without success. Given that historically, there’s less than a 1% hit rate in terms of converting diamond exploration to a mine, it was a matter of time before Dippenaar looked to acquisitions. Enter De Beers which was, at that time, in the throes of historic soul-searching. What followed between 2007 and 2016 was a stream of six major acquisitions of De Beers’ mines by Petra, and nearly all of them fairly successful except for the last which patently wasn’t. That was the purchase of the historic Kimberley Mines from which Petra fashioned Kimberley Ekapa Mines (KEM JV), a joint venture with an empowerment partner, with the aim of sieving surface tailings for diamonds. Despite having invested or committed $1.4bn in the various De Beers mines over 14 years, it was KEM JV that blotted the copy-book for Dippenaar, his very last deal. At the same year-end presentation at which Dippenaar announced his looming departure, the KEM JV was written off for about $66m. It came at a time when Petra could least afford it. Petra’s debt had already peaked at $634m at the firm’s interim stage in December and given the strengthening of the rand against the dollar, the company was forced into a net $170m rights issue in order to stave off the banks, some of which had waived their debt covenants. Production for the 2019 financial year is expected to come in at between 3.8 to four million carats – far off the five million carats targeted by Dippenaar – whilst KEM is to be sold to the BEE partner. In addition, some $83m in debt guarantees still has to be supplied by Petra, although the company is hoping this can be discounted from the covenant calculations applied by the banks once the asset is finally out of the group. “One always talks one’s book,” says Dippenaar. “But with diamond mining it’s not like in lead or gold where each tonne is like the other. We did six acquisitions, each requiring extensive rebuilding (of the asset) and capitalising all at the same kind. Looking at KEM, it is probably best run by a smaller company with real Kimberley people, but we’ve still had a good outcome,” he says. The diamonds KEM was looking for are small attracting low pricing. Set against the debt pile and with shareholders beginning to look forward to a time of dividends, KEM quite simply had to go. “We’ve shown a strong turnaround and now we need to get that consistent delivery going, get the right capital spend and reduce our debt,” says Dippenaar. Petra has targeted net debt to pre-tax earnings (Ebitda) of 2x – expected in the 2020 financial year – which compares to the current ratio of 2.7x. For the first time, free cash flow from Petra’s mines – which has essentially been in aggressive, high growth mode ever since Dippenaar took over – helped reduce net debt, and more is expected in the current year. Dippenaar is hopeful. RBC Capital Markets said in a report that the 3.8 million to four million carat target was “understandably conservative” given the current under-performance of previous years. It added, however, that: “The company has disclosed July and August production at 718,000 carats which we calculate to be at 4.3 million carats annualised and 10% ahead of expectations”. Dippenaar won’t say where he’s heading next: “I haven’t thought about that yet. We have a board process to find a new CEO. So, we’ll have to see who applies and then do both an internal and external process. I’ll do a proper handover,” he says.